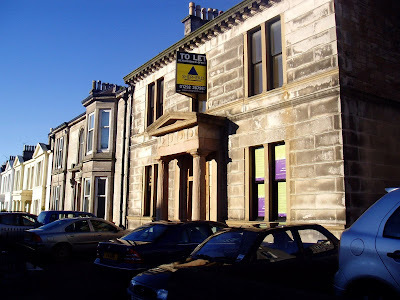 J&E Shepherd Chartered Surveyors has been appointed to lease an end-terraced B-listed townhouse office building recently refurbished throughout to a modern standard in Ayr. Located at 6 Miller Road, the offices occupy the ground floor of the building and include two car parking spaces. The property comprises four office rooms together with staff kitchen and WC. Established 125 years ago in Scotland, J&E Shepherd delivers a valuation service throughout the UK, from a network of 32 offices throughout Scotland and over 75 locations in England, Wales and the Channel Islands. It offers a multi-disciplinary property service to include valuation, commercial agency, building surveying, rent reviews, development and investment consultancy, rating and property management. J&E Shepherd is now one of the largest independent firms of chartered surveyors in the UK. There are currently 424 Ayrshire business stories permanently archived on this site. To locate those of most interest to you, please use the site search facility in the top left hand corner of this page. Type your search term in the white box, then click “SEARCH BLOG”.